LOS ANGELES, Jan. 25, 2019 /PRNewswire/ -- IMAX Corporation (NYSE: IMAX), Cosmic Picture and presenting sponsor Mars Petcare announced today that Chris Evans (Captain America: The First Avenger, Gifted) will be narrating the upcoming IMAX documentary, Superpower Dogs, set to release in IMAX® and giant screen theatres beginning March 15. "There is no greater talent to narrate Superpower Dogs than Chris Evans," said Daniel Ferguson, Writer/Director of Superpower Dogs. "Chris' genuine love and respect for dogs really comes through in a way that highlights their abilities, intelligence and heroism." 'Tipper and Tony', Bloodhound brothers leading the fight to save endangered species in Africa. 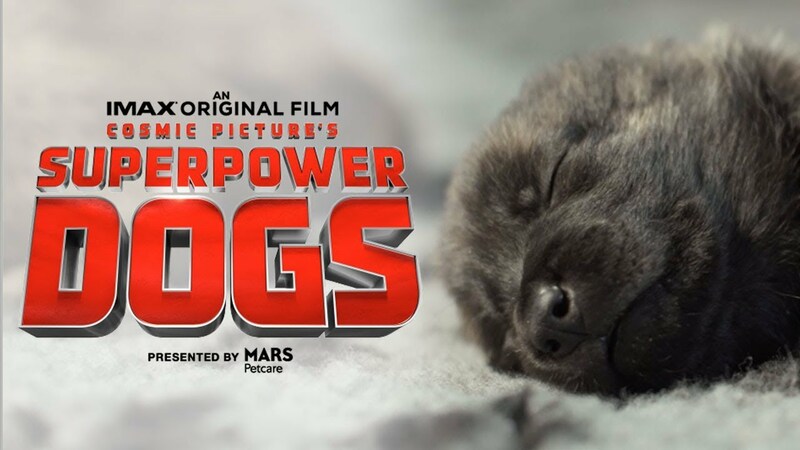 The official trailer for Superpower Dogs featuring Chris Evans' narration can be viewed here and for more information, please visit www.superpowerdogs.com. The trailer features a new single, Fearless, from singer-songwriter and Juno-nominated, Kellie Loder. Mars Petcare, one of the world's leading pet care companies, is proud to be the exclusive presenting sponsor of Superpower Dogs, as the film aligns with the company's purpose of A BETTER WORLD FOR PETS™ by spotlighting the amazing true stories of dogs with extraordinary abilities who save lives and make the world a better place.